Erik Gadman is responsible for the public procurement practice at Gernandt & Danielsson, one of Sweden’s premier law firms. Erik advise clients on all aspects of public procurement law. Erik has extensive experience of successfully representing both suppliers and contracting authorities in review procedures, ineffectiveness proceedings, and applications for the imposition of alternative penalties. He has also successfully represented clients in a large number of actions for damages for alleged infringements of public procurement law. Legal 500 has ranked him as a Next Generation Lawyer in the field of public procurement. 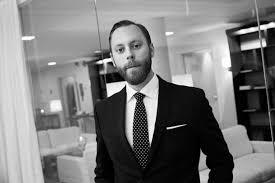 Erik holds a juris kandidat degree from Uppsala University and an LL.M. degree from UCLA School of Law.